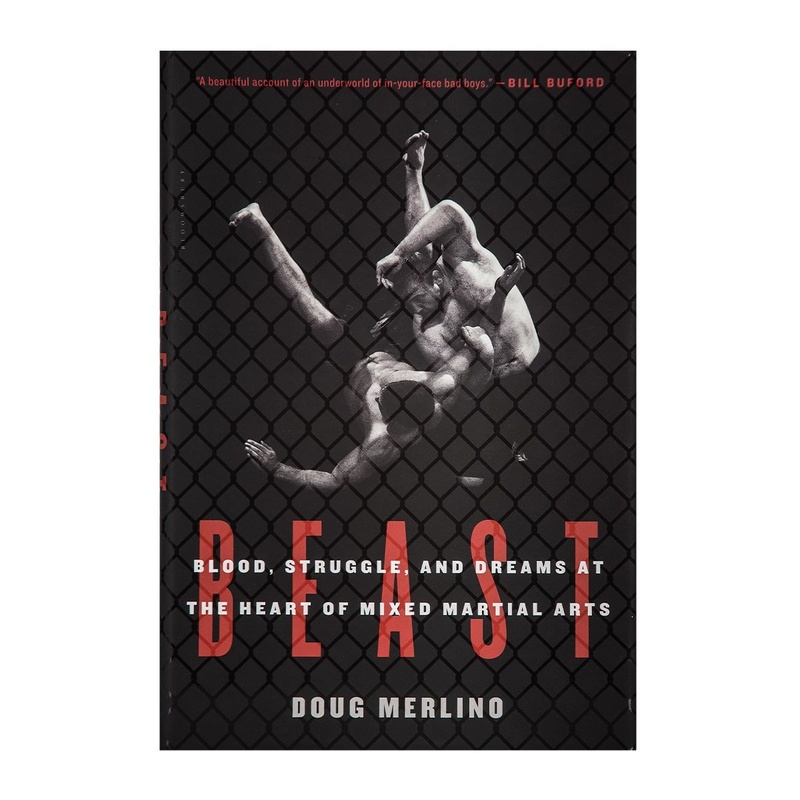 What makes “Beast” such a spectacular read, other than the author’s sheer storytelling skill, is that Merlino didn’t simply interview fighters and coaches. He spent two years training alongside them, living with them, and traveling with them to their fights. He met their friends and family. The result is a book that is both profound and, at times, nail-bitingly tense. It’s hard to pick a “best part” of “Beast,” but if I had to, I would choose the scenes where Merlino writes about the fighters stepping into the ring. His descriptions make you feel like you’re there at the venue, surrounded by cheering (or jeering) crowds, listening to the walkout music and watching the spotlight single out incoming fighters. Before he began to research and write “Beast,” Merlino was unfamiliar with MMA. Not a fan; not the acquaintance of a fighter; in short, not someone you might expect to write this book. But it turns out Merlino is the perfect author. He enters with no preconceptions about the sport or the athletes. He doesn’t approach the topic with an angle or try to convince the reader to think one way or the other about MMA. That allows for an exploration of the fighters’ world unimpeded by biases. Merlino’s background in MMA, or lack thereof, also makes “Beast” accessible to any reader. Longtime fans of MMA, martial arts athletes of other styles, and newcomers alike will appreciate the book. Just a warning: once you pick up “Beast” you might not be able to put it down. This book grabs you and holds you in a clinch, keeping your eyes locked on the pages until they run out. “Beast: Blood, Struggle, and Dreams at the Heart of Mixed Martial Arts” is available here.